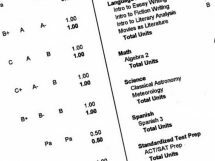 Overview: Our college supply list is based on real experience and practical common sense. Save money! I remember the summer before the eldest’s freshman year. 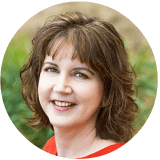 She is a researcher and a planner, and on the internet somewhere, she found a list of “what every freshman should buy for college.” It was a long list, let me tell you! But we faithfully bought it all… and she told me later that a lot of it she never really needed. So we learned from that mistake and now, after shopping for college supplies for two more kids, we have narrowed down the list to what we feel are the necessary things. 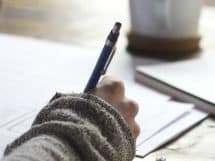 Obviously this is not an exhaustive list — it’s just the things we think most college students will find helpful, based on my three girls’ experiences living on three different campuses. 1) A small fridge. Drinks, yogurt, cheese sticks — snacking is a necessary thing. 2) A small microwave. Frozen dinners, baked potatoes, nacho cheese — sometimes ya gotta have something warm to eat that is not from the cafeteria. 3) An electric teapot. This is easier to use than heating water up in the microwave; and you can get one for around $15, so it’s worth it. There are SO many things kids can make with hot water. They may not be nutritious, but these are college students we’re talking about, after all. 🙂 Most dorms will not allow a regular coffeepot in the room, so this makes a good substitute. Your kid can use instant coffee or a special filter that goes in the cup to make regular coffee. A TV is not necessary, y’all. Nor a DVD player. If you happen to have an extra of either of those lying around the house, then fine, but don’t go out and get one. Most kids can watch TV episodes and DVD’s on their computers, anyway. That’s it for the big things for the room. Don’t go overboard. Many dorms provide a communal printer. Music can be played from the computer. An ironing board is not something a college student is going to be likely to use, even if they probably should. Keep things light and simple. If your child needs to add something later, you can send them the money to get it. 4) A laptop computer. Obviously kids need a computer for college these days. A laptop (as opposed to a desktop) is a good idea because then they can take it to the library to work when their roommate is being loud or needs to sleep. 5) To go along with the laptop computer, a lap desk is VERY handy. It provides a place other than their legs and blanket (which can be a fire hazard) to put the laptop on when they are working in bed. I use one myself, when I am sitting anywhere but at a desk or table. It makes using the laptop much more comfortable. 6) Another comfort item is one of those pillows with arms that looks like the top half of a chair (also called a reading pillow or a bedrest). Again, for working on the bed, this is a top priority item. Both of my girls use theirs religiously. 7) A good planner. My eldest uses a store-bought one to write all of her assignments, tests, and work hours into. 7) A memo board. My second prefers to see the big picture at all times, so she has a big white board in her room, set up as a calendar, that she writes everything onto. When she is away from her room she types new information into her phone, then transfers it to the white board later. 8) For physical and emotional comfort, a nice fuzzy blanket is a wonderful thing, lol. I don’t have a son in college yet, but I bet boys would like this just as well as girls, although they would not admit it! Who doesn’t like to wrap up in a blanket at all times of the day and night? I bought a twin-size fuzzy blanket (the softness of the fuzzies is a big consideration, y’all) from Target for #2, expecting her to use it on her bed, but she uses it as a blankie instead. She recommends the actual bed-size blanket rather than a throw size. And since I was given one for Christmas, I have to admit that I now love my blankie, too! 9) #2 recommends LOTS of pencils, because she has a habit of misplacing them… She also recommends one giant three-ring binder for ALL subjects, rather than individual notebooks for individual subjects. Again, it’s an “I will lose it if it is small” issue. Know your child, lol. And don’t forget highlighters – different colors make studying more fun! 10) Nice bedding sure helps. It doesn’t have to be expensive, just something the student likes to look at. You want them to feel comfy and at home in their dorm room. That’s their safe haven while they are away from home. If your child wants to communicate with their roommate for matching stuff, that’s fine — but make sure your kid is happy with the selection. If not, matching bedding is SO not necessary. Get them what they like. And you DON’T have to give in to those mailers that say they are the ONLY place to get extra-long twin sheets. (If you haven’t gotten one of those in the mail yet, you will.) We bought from them with #1, then two weeks later found nicer sheets in the correct size for less money at Target and Bed Bath and Beyond. So yea; lesson learned. Those stores tend to feature them at the end of the summer, so if you don’t see them now, don’t panic. 11) The eldest recommends an umbrella. This is something easily overlooked – but it’s miserable walking to class in the rain without one! 12) Another helpful item has been a bucket or waterproof basket/bag (with a handle) for shower items. Keep the shampoo, soap, razor, etc. in the shower caddy, and then it’s easy to just grab it, get in the shower, and take it back to your room when you are done. (If the student shares a suite, there may be storage right in the shower, so this might not be necessary.) Also get some small storage for toiletries that will be kept under the sink or in the dorm room. Plastic drawers, modular baskets – things that will not take up a lot of room, in case cabinet space must be shared with the roommate(s). UPDATE: We’ve added more things to our recommended college supply list — but still only those that aren’t ridiculously expensive and will actually be utilized. This is not a Buzzfeed or Huffpost college supply list written by some marketing guru who isn’t even old enough to have college-age kids. This is real information, hard-won by a financially-challenged parental unit (um, me) who doesn’t want to have to buy everything that she is told to. But yes, these things are extremely helpful and worth spending the money on. 2) Speaking of laundry, a supply of quarters is never a bad idea. Some colleges do not require laundry to be paid for, others definitely want all the money they can get. 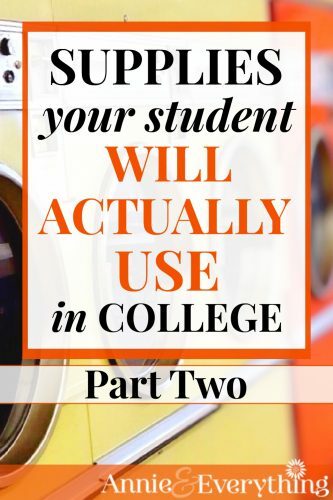 It can be difficult for students to obtain quarters, so then the dirty laundry sits for awhile, and clothes that really shouldn’t get worn again are pressed back into service… so yea. Send them with a healthy pile of quarters so they can avoid that whole smelly shirt dilemma. 3) More laundry talk: get the kid a supply of laundry detergent pods. Yes, I know they are more expensive than traditional powdered or liquid detergent. But for life in the dorm, these things just make sense. They are much more portable. As the kid is leaving their room with a load of laundry, they can just grab a couple pods out of the bag and they’re good to go. No lugging around a box of powder or a jug of liquid. And if you buy a big bag, they’ve probably got enough to last the whole semester. 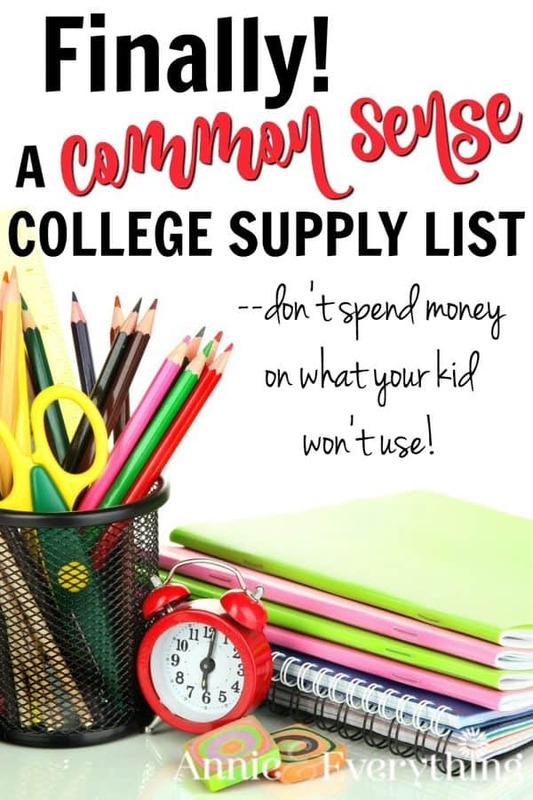 4) I alluded to this in another post about getting kids ready for college independence, but I also want to include it here on our recommended college supply list: get them a credit card with their own name on it. NOT their own account, mind you, just a card that is tied to YOUR credit card account — but the piece of plastic has THEIR name on it. I cannot tell you how many times this has come in handy. Sometimes they don’t have enough in their own bank account, and they do truly need food (like when they are staying in the dorm over break and the caf is closed — true story). 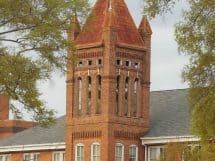 Sometimes they have to pay for medicine (like during a campus-wide lice outbreak — also a true story), or they need to make a trip to urgent care during a time when the campus infirmary is closed (infected spider bite — yep). 7) Facial cleansing wipes. Like the laundry pods, this is one of those convenience items that might make the frugal among us shriek in abhorrence. But for college life, they are just the right thing, expense and all. Because seriously, who expects their college-age child to want to wash their face when they get in at 2am from the revelry studying they’ve been doing? My daughters tell me horror stories of girls who go to bed with makeup still on, only to touch it up the next morning before rushing off to class. (I confess that gives me the heebies!) Get them the makeup-removing wipes so they can swipe first and then sleep. And guys need clean faces, too — and they are probably worse about actually washing with soap and water, lol. 10) If the college is in the northeast or upper midwest, a pair of thick, waterproof boots would not go amiss. College students do a LOTTA walking, and it’s a drag to have wet and/or cold feet while you’re sitting in class. Ditto a quality winter coat. 11) A stepstool to make it easier to get up onto the (inevitable) lofted bed. Especially if your child is challenged in stature or doesn’t like to climb, lol. I never would have thought of this one; but one of my daughter’s suite-mates had a stepstool, and my child was green with envy all year long. One thing you DON’T need to buy them right away is college merchandise (otherwise known as “merch”). Those sweatshirts with the college name on them are EXPENSIVE, and if you’re trying to do this during orientation, you are already shell-shocked from all the unforeseen expenses incurred as you drop off your college freshman. Guess what? The kid will receive a free t-shirt probably several times over the course of the year for various spirit activities. AND they can most likely use their meal plan flex points in the bookstore — so they can pick out their own sweatshirt and forgo a snack or three to pay for it. Sending the kid off to college is a fun, albeit expensive, time. 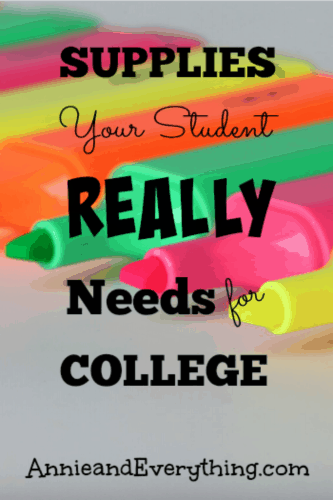 Don’t give into pressure from all those other college supply lists out there. 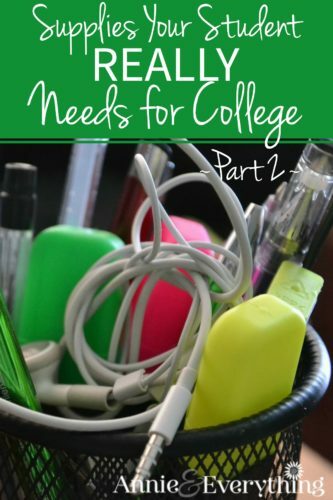 The items I’ve included in OUR recommended college supply list — both parts — are what will be used and appreciated. Many of the other nifty ideas you read about on “professional” college supply lists are just not practical or are more expensive than they’re worth. Save yourself some time and money! Boys usually need even less stuff than girls! 🙂 Sending my 4th boy to college this year. Yes, boys do like a ‘fuzzy’ blanket. My sister makes a polar fleece tied blanket for the high school grads, often in their school colors, so they are set for the blanket. Some dorms don’t let you have a MW, so be sure to check before getting any appliances for the room. Also, all my students (#6 headed off this year) found the plastic drawers handy for either their room or their bathroom (suite style rooms). I agree that the lists you find on the internet are waaaaayyyy too long! If for whatever reason you can’t afford a lap desk or you’re waiting for yours to ship, a drink tray like the ones at Starbucks are great flipped over for a makeshipe computer stand. I use three stacked together for a little extra sturdiness. It’s a good substitute! Ooo!! What a GREAT (and frugal!) idea!! 🙂 Thanks for stopping by, Kati! Regarding #8 and boys, a big, warm, fuzzy blanket was, and still is, a blessing for my son in college. He kind of rolled his eyes about it, but I got him to take it since we are desert dwellers and he was going to school high in the mountains. He uses the blanket every night in the winter months and “makes a burrito” out of himself with it on bad days (he would NEVER say he cuddles up in it ;). As for #9, my son went with a 1.5 inch binder for each class. Before he left, I set him up with 4 color binders, so he could color code his classes. At the end of 3 years later, he still uses them, although he had to get a 5th one as he has taken 5 classes some semesters. I completely agree with #10. Nice sheets make an emotional difference, but during August each year you can find twin extra long sheets pretty much anywhere that sells sheets. As for the appliances, definitely check with your specific school before spending money on those things. My son’s first dorm supplied a mini-fridge and they were not allowed a microwave. His second dorm (upper classmen dorms were way nicer!) supplied a full kitchen for every 4 students, as the dorm was set up like apartments with 4 students sharing 2 bedrooms, a living room, kitchen, and bathroom. His freshman dorm had 3 students sharing 1 room and a bathroom and the entire floor had a kitchen and common room to share. One thing that I had that was used by all ( thanks DAD!) was a small tool box. This included a hammer, assorted screw drivers, a adjustable wrench, screws and nails, duct tape and super glue. This is a great resource! I wish I would have thought of the electric teapot when I was at college!